Insurance company Zurich American is seeking a court ruling that it does not have to pay for any of Sony's legal defenses against lawsuits filed over the breach and outage of the PlayStation Network. The PSN outage that took place over April and May was a full-scale debacle for Sony and, as is the way with things these days, led to all kinds of legal headaches for the company, with possibly more to come. There's an awful lot of money involved, not just in potential payouts to aggrieved customers but also in legal costs associated with defending against the claims. Those are costs that Zurich American, one of Sony's insurers, has no interest in paying. The company filed papers in a New York court on Wednesday seeking a declaration that it does not have to defend Sony against any claims "asserted in the class-action lawsuits, miscellaneous claims, or potential future actions instituted by any state attorney general." Zurich's argument is that Sony's general liability policy covers only "bodily injury, property damage or personal and advertising injury," none of which have been claimed in any of the PSN lawsuits. Even if such claims had been made, the company said, exclusions in the policy would deny coverage for the claims. Zurich, which wrote the policy for Sony Computer Entertainment of America back in April, also asserted that its policy covers only that specific unit and does not apply to other Sony branches, such as the new Sony Network Entertainment America, which is now responsible for Sony's online operations. At the same time, Zurich also filed lawsuits against fellow Sony insurers Mitsui Sumimoto Insurance AIG and ACE Ltd., asking the court to nail down their obligations based on the insurance policies they'd written for the company. "Zurich doesn't think there's coverage, but to the extent there may be a duty to defend it wants to make sure all of the insurers with a potential duty to defend are contributing," attorney Richard Bortnick, who is not involved in the case, told Reuters. Or, to put it somewhat more succinctly, if Zurich's going down for this, it's not going down alone. Sony is currently facing 55 class-action lawsuits in the U.S. and is also the subject of various state and federal investigations which could lead to other costs. 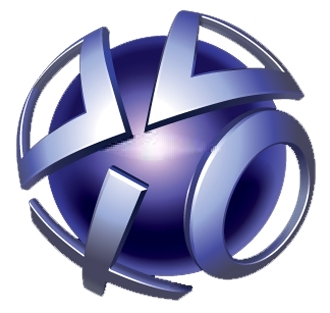 The company currently estimates that the PSN mess will knock $178 million off its operating profit for the fiscal year.